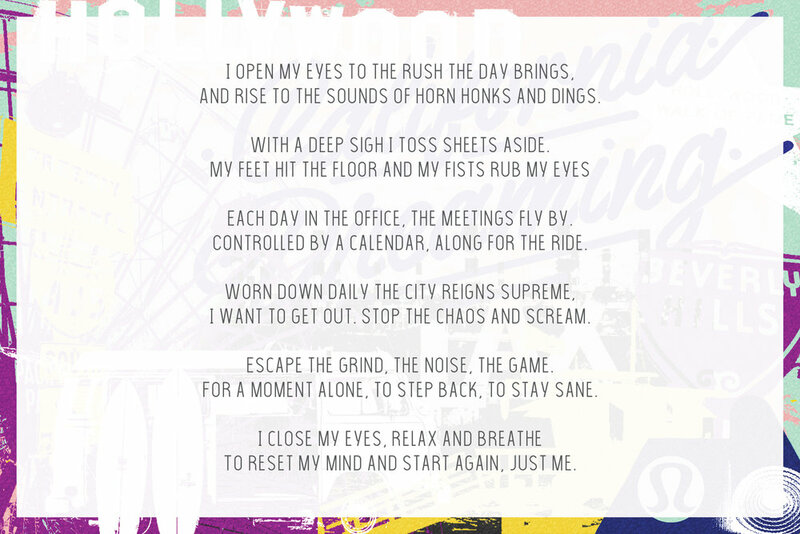 Lululemon released a new line of yoga mats that feature some of the busiest cities across the U.S.
By using slam poetry, a dramatic performance of a tranquil art form, we mirrored the feeling of practicing yoga in a busy city, while calling out its dwellers to take a breather. When entering a yoga studio, yogis will often fill out an intention card to focus the mind on what brings them to the mat. 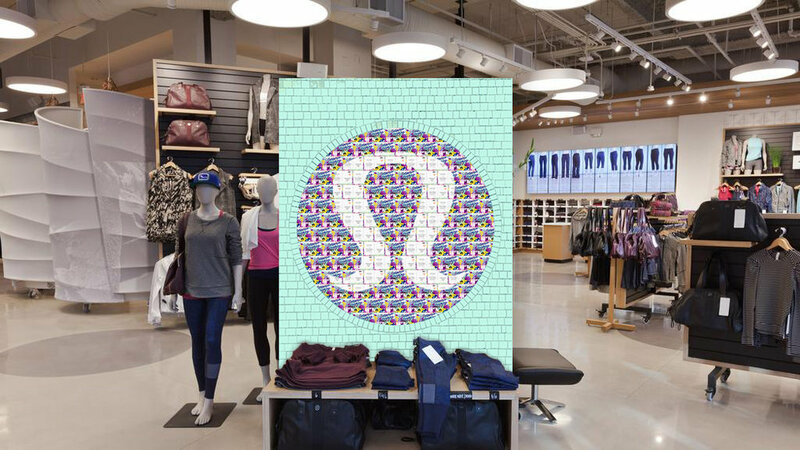 Our intention cards will be distributed to local Lululemon stores, and included with purchase, prompting shoppers to fill them out, send them in, and share their intentions for heading to the mat. Intention cards will become inspirational wallpaper within Lululemon stores. OOH targets busy city dwellers during the most stressful part of their day, commuting. 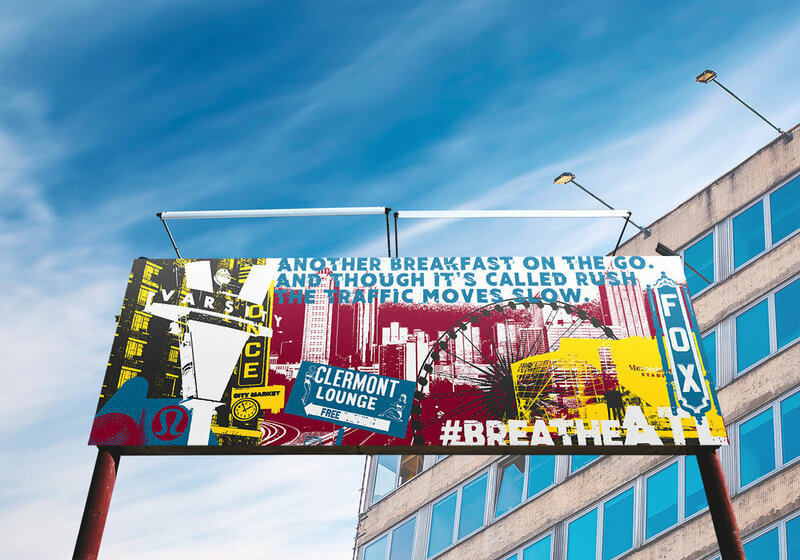 Each ad is placed on the most popular mode of transportation within each city: billboard in Atlanta, bus stop in San Francisco, and subway in D.C.
Slam poetry Spotify ads translate the contradicting feeling of finding solace in a busy city. Snapchat users can share their intentions and geo-tag their favorite places to find peace in their city.